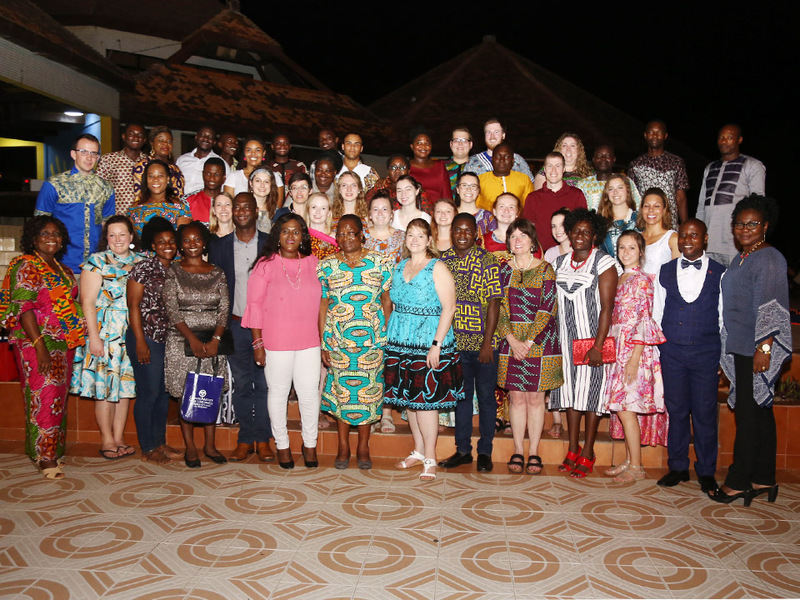 The School of Nursing and Midwifery has held a dinner in honour of three faculty and 24 students from Kirkhof College of Nursing, Grand Valley State University (GVSU) who were in Ghana for a two-week Community Service programme. Since 2013, the UCC School of Nursing and Midwifery and the GVSU Public Health Nursing have been collaborating through the Community Service which is aimed at establishing and improving partnership with both local and international collaborators in the area of Public Health. Speaking at a dinner to climax the activities of the GVSU team, the Dean of the School of Nursing, Dr Dorcas Obiri-Yeboah, said the collaboration between UCC and GVSU through the Community Service continue to yield fruitful results. She said for the past six years, UCC School of Nursing and Midwifery had collaborated with GVSU Nursing students to embark on outreach services to various communities which had impacted positively on their health. Dr Obiri-Yeboah gave the assurance that UCC would deepen the partnership with GVSU to sustain the programme in order to enhance the exchange of expertise and also promote best practice among faculty members and students. “I hope the GVSU students had a great time with our Nursing students and also learned something valuable at the various health facilities during the programme” she noted. She advised the GVSU students to use the knowledge and experiences they had acquired from their two weeks of study in Ghana to the benefit of society. She expressed the commitment of the GVSU team to partner UCC for the joint programme adding that “When there was outbreak of Ebola, all US programmes and projects in Ghana and other West African nations were suspended, however, the GVSU team led by Prof. Mupepi still came to Ghana to join our counterparts in UCC for the outreach because we were confident of the quality health system in Ghana.” She said Ghana’s ability to contain the spread of the Ebola pandemic into the country was due to the strict adherence to World Health Organisations protocol. “One thing that our students have learnt about Ghana’s Health Sector is the surveillance system and that makes Ghana so special from other countries in terms of health care delivery,” she established. Prof. Mupepe was hopeful that the GVSU students who were mostly final year students had benefited immensely from the Community Service in Ghana. “Learn as much as you can because when you graduate next month, you are going to be on your own and making a great impact in healthcare. Remember that if we can do much in the United States, we are doing the best for the rest of the country. Our world has shrunk into a global village and we are counting on you to make the difference” she urged the GVSU students. Some of the GVSU students shared their experience in the two-week Community Service Programme in UCC and some health facilities in the Central Region. Jennifer Schlatter said she had an exciting time interacting with UCC faculty and students as well as familiarising herself with other students and facilities on campus. “I have also learnt at first hand the Health Systems in Ghana and there are valuable lessons I have personally taken along” she noted. Douglas Chambers said he was fascinated by the intercultural and competent health professionals working in various health facilities in Ghana. Quinn Hayden expressed his delight of the strong public health system in Ghana, especially the role of the CHPS compound in the provision of quality health care to rural communities. He said most of the health workers were highly skilled and could improvise in the absence of essential tools and equipment to provide basic care to people. As part of the two-weeks Community Service programme, the GVSU team were exposed to the Health System in Ghana and embarked on an observational visit to various health facilities like the Cape Coast Teaching Hospital, UCC Hospital/Maternity Unit, Ankaful Psychiatric Hospital. They were placed on rotation at urban/peri-urban Health Centres in the Abura Asebu Kwamankese District. Another feature of the programme was the Community Outreach with UCC Nursing Students Association at Padre Pio Centre at Ahotorkrom in the Komenda Edina Eguafo Municipal Assembly. Certificates were presented to the students for participating in the programme. The GVSU team also presented books and other educational materials to the School of Nursing and Midwifery to support the training of nurses. Present at the dinner were lecturers, Faculty Officer, Faculty Accounts Officer, staff and some students of the School of Nursing and Midwifery.